A long-awaited major milestone for a leading suborbital vehicle developer—the first powered flight of Virgin Galactic’s SpaceShipTwo—is a little bit closer to taking place after a test flight Wednesday. Virgin Galactic reported SpaceShipTwo flew its first glide flight in “powered flight configuration”, with its rocket motor system, including tanks and nozzle, installed. The flight also featured the first flight with thermal protection material installed on the vehicle’s leading edges, components needed for high-speed powered flight. “Aero performance slightly better than expected and no negative issues identified,” Scaled Composites noted in its test flight log. The flight was the first glide flight for SpaceShipTwo since August, and the 23rd overall. It came after a captive carry flight the previous Friday, which also features SpaceShipTwo in its powered flight configuration. 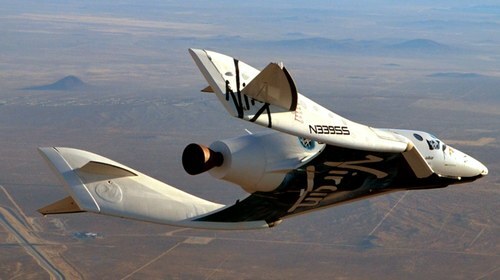 The test suggests Virgin and Scaled are getting closer to the long-awaited first powered flight of SpaceShipTwo, although the Virgin press release stated that “a minimum of two more glide flights” are planned before that first powered flight. Assuming the rocket motor is ready (it has performed several static tests in recent weeks, with “all objectives” achieved each time), that powered flight looks like will take place early in the new year.